 Wodo IN-EAR HEADPHONES  are featured with robust quality, balanced sounds, and excellent noise isolation, it make the instruments layered and the rhythms reproduced clearly and delicately. These earbuds with microphone and noise isolating, customers will hear every word by songs conveyed naturally and subtly. 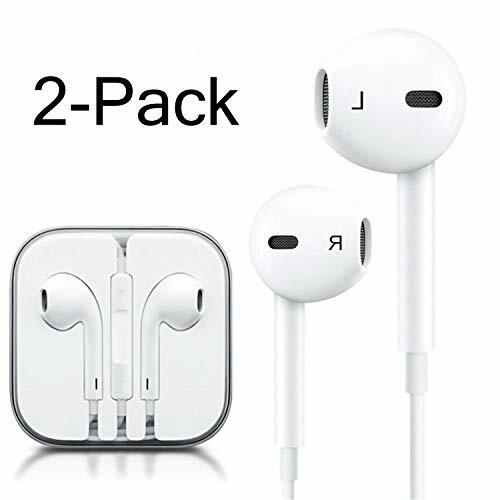  IN-EAR EARBUDS  Compatible iPhone 7 6s Plus / 6s / 6 Plus / 6 EARPHONES iPhone 5s / 5c / 5 / SE - iPad Pro / iPad Air / Air 2 - iPad mini 2 / mini 3 / mini 4 - iPad 4th gen, Beats Pill+ - iPod Touch 5th gen / iPod Nano 7th gen - Samsung Galaxy Note Edge Samsung Galaxy Note 5 Samsung Galaxy Note 4 Samsung Galaxy EARBUDS S8 S7 S6 Edge+ / S6 / S5 / S4 / S3 EARBUDS EARPHONES HEADPHONES.  QUALITY WARRANTY AND LIFETIME GUARANTEE  -Wodo EARBUD|EARPHONES|HEADPHONES|HEADSETS are professionally designed for music listening requirement in runing jogging weight lifting walking and gym training. They should not fail or break even during intense outworks. If there are any issues, we'll give you a total refund or a replacement, at no cost without questions asked. We just want your 100% satisfaction.